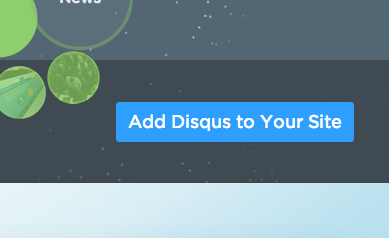 With the Disqus add-on, you can allow visitors to leave comments on your Tumblr blog posts. They can comment as a guest (without signing in), or they can sign in using their Facebook, Twitter, or Google accounts. Before you start, you should have a Tumblr blog already setup on your site. If you haven’t done that yet, here are some instructions. 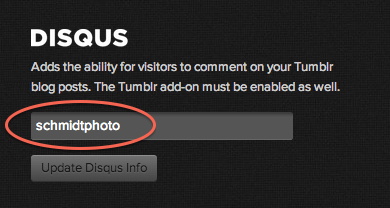 Go to http://disqus.com and click the “Add Disqus to Your Site” button. 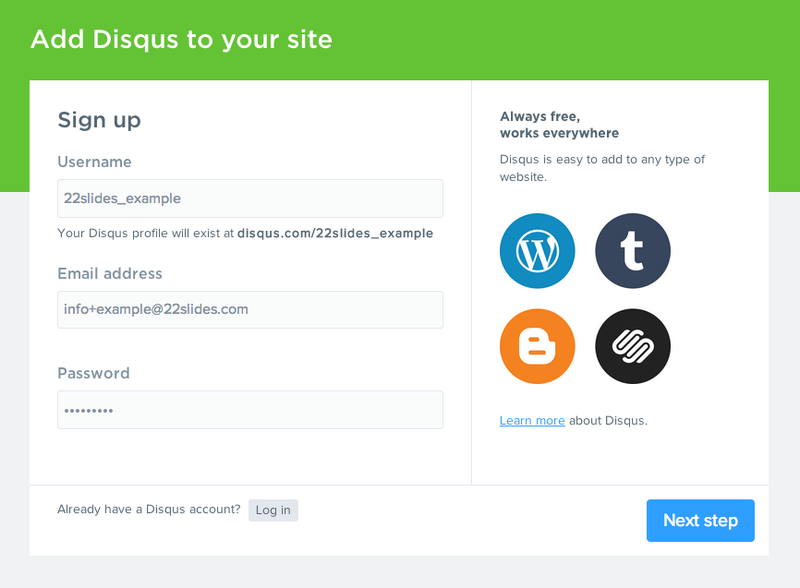 On the next page, fill out the information to create an account with Disqus.com and click the button at the bottom. On the next page, fill in the information again, but pay attention to the “unique Disqus URL” field. You’ll use that later. Click the button at the bottom when you’re done. You don’t need to do anything on the next page.  Exit the Disqus site and go to your 22Slides control panel’s “Add-ons” page. 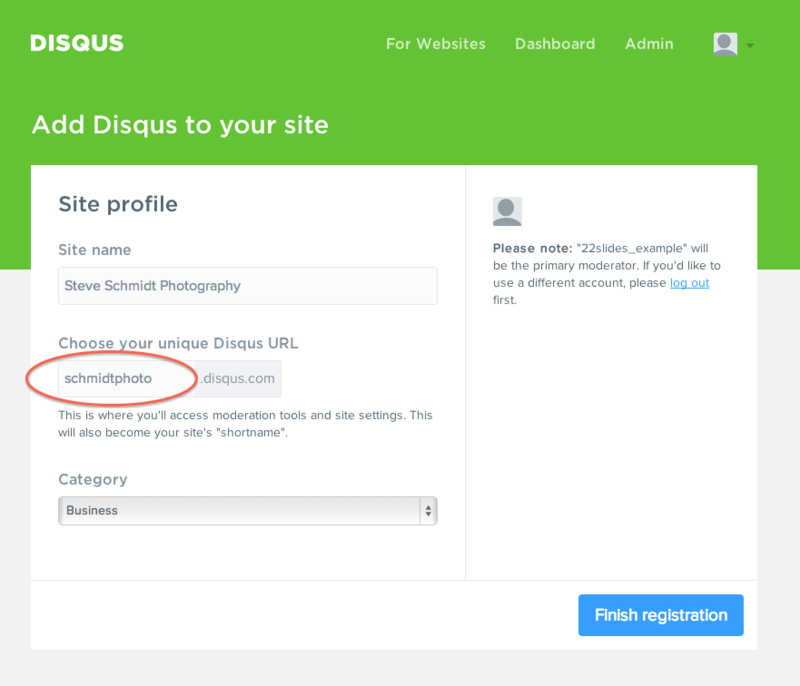 Under the “Disqus” section, enter the same exact thing you entered in the “unique Disqus URL” earlier and click the button to save. That’s it! People can now leave comments on your blog posts! Note that these comments will be separate from standard Tumblr comments.